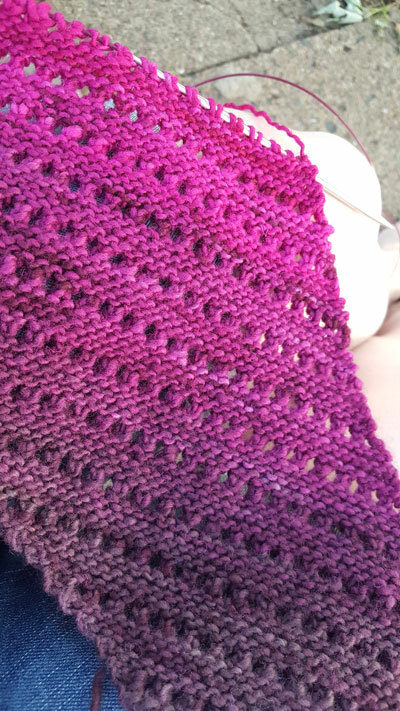 I recently finished a beautiful, lacy scarf. I blocked it as best as I could with towels and pins, but it just didn’t open as evenly as I hoped it would. I figured it was time: blocking wires. This hasn’t been my favorite week. It wasn’t really bad, it’s just been anxious and sad. There have been unexpected changes at work and someone I love to work with was laid off. A new friend from my knitting group will be moving across the country for a great job opportunity and to be closer to family. And I visited the dentist for the first time in a very, very, very long time. 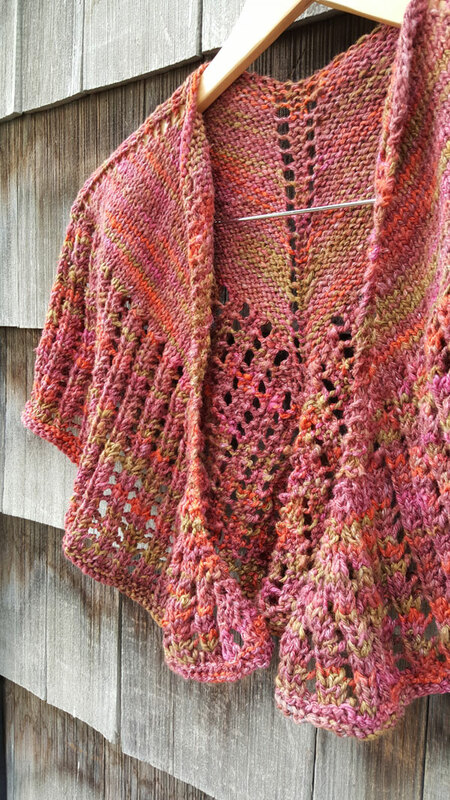 I love Malabrigo yarn. It’s soft and squishy and the color is always beautiful. I made my first pair of socks in Malabrigo. They were soft and warm and the beautiful, fluffy loftiness of the yarn found me wearing holes into the bottoms of the socks long before I expected. We all do it. A quiet moment at work. Waiting for dinner. A commercial break during a season finale. That short time before bed when everyone else in the house is asleep. We search. Maybe for hours. Collecting and saving and downloading patterns we may or may not ever make. But we have them. The beautiful somedays. The potentials. The maybe-if-I-find-the-perfect-yarns. This winter I expanded my horizons. I boldly went where no, um, me had gone before. This winter, I became a sock knitter. 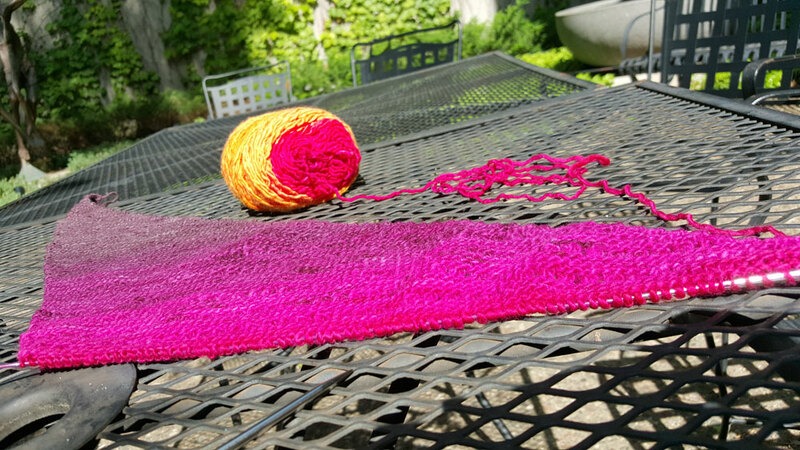 My first pattern was a simple toe-up sock in a worsted Malabrigo (dear, beautiful, soft, Malabrigo). 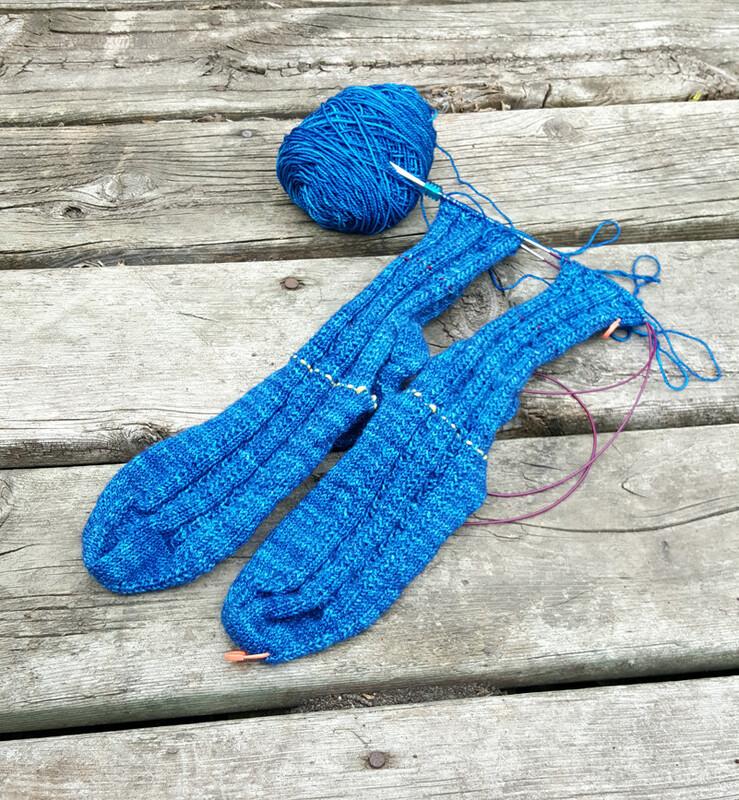 To be super cool, I knit the socks two-at-a-time on Magic Loop from one ball of yarn (which is really easy but makes me look like a magical unicorn knitter when I whip out the project in public). There. I’ve said it. 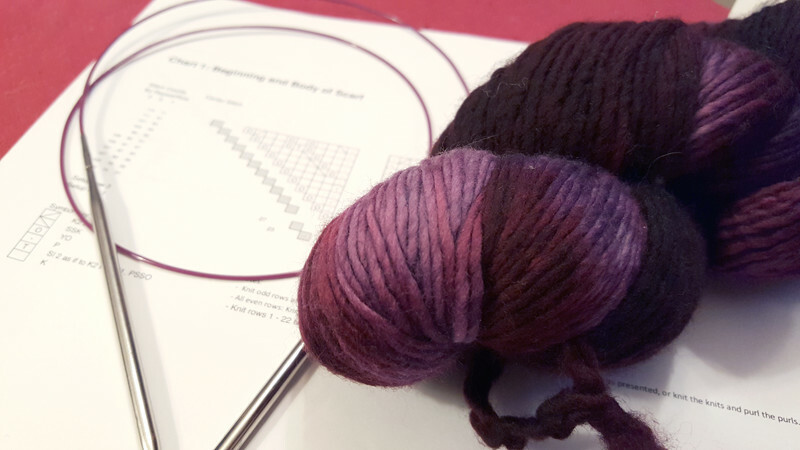 I don’t swatch for gauge when I begin a new project. I’ve held this dirty secret for years. I know I should swatch. I know my finished project will be more predictable in size and shape. I know it’s a sign of a sophisticated, grown-up knitter. I’m terrible at remembering to knit things ahead of gift-giving events. Christmas I remember, but I don’t really plan it well so not everyone will get a knit gift. I’m a slow knitter and I really knit for my own enjoyment. It keeps my hands busy. It’s comforting. I love to see the pattern come to life. To see the yarn take shape in something beautiful. And I’ll say it: to marvel at this beautiful piece of art I have created with my own two hands.